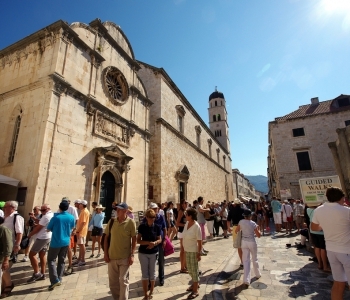 Dubrovnik Walking Tours & Game of Thrones Tours - Easy Online Booking! Exclusive "Game of Thrones" Special! 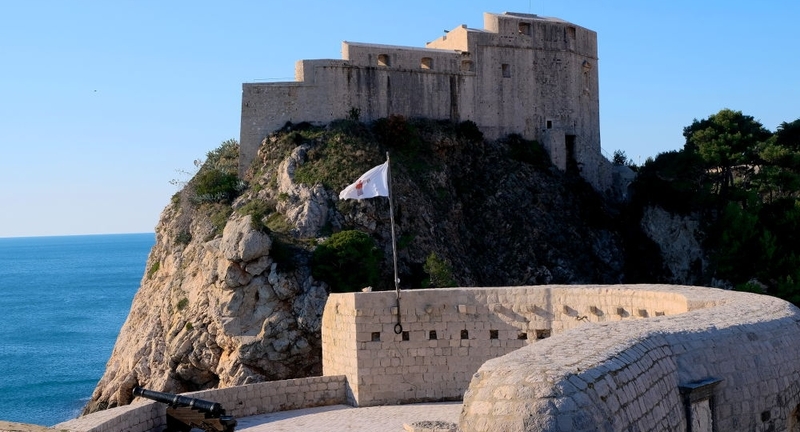 Dubrovnik has a new exclusive attraction to offer: the „Game of Thrones“ Special! On this tour fantasy becomes reality! Join our "Wall of Faces"
We invite you to leave your face on our Instagram „Wall of Faces“. Prove to the world that you’re no one! For our newest blog post we are looking into a crystal ball to see what is happening in Dubrovnik in 2019.
for beauty is God's handwriting." These words written by American essayist and poet Ralph Waldo Emerson perfectly describe one reason to visit Dubrovnik. But there is more! Check out our blog! 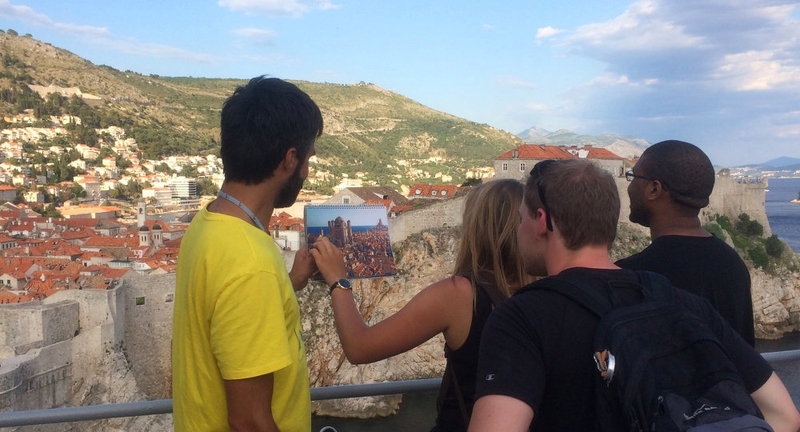 Book a Dubrovnik walking tour with a local tourist guide! Located on the Southern tip of Croatia on the Adriatic Sea, Dubrovnik weaves a unique spell with its combination of elegant architecture, cosmopolitan beaches, great places to eat and shop, and fascinating history. In recent decades its visitors have included a swarm of A-list celebrities. And its renown has only increased since it has become a filming location for movies and TV shows like Star Wars and Game of Thrones. We specialize in arranging tours by well-informed locals in Dubrovnik that will make your time in this gem of a town even more magical. Together, our staff has many years of experience in tourism, and you can count on your travel guide to be friendly, articulate and steeped in the kind of local knowledge that will take your visit to another level. 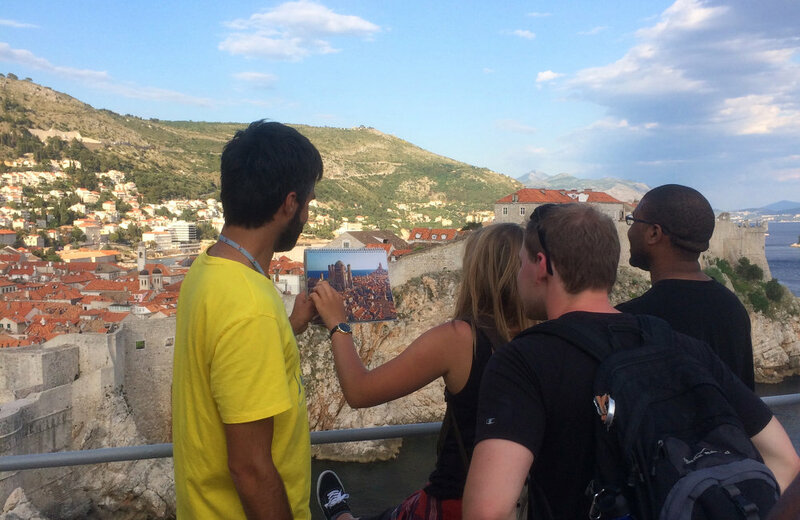 Read on to find out what to expect when you spend a few hours with ACCESS Dubrovnik. 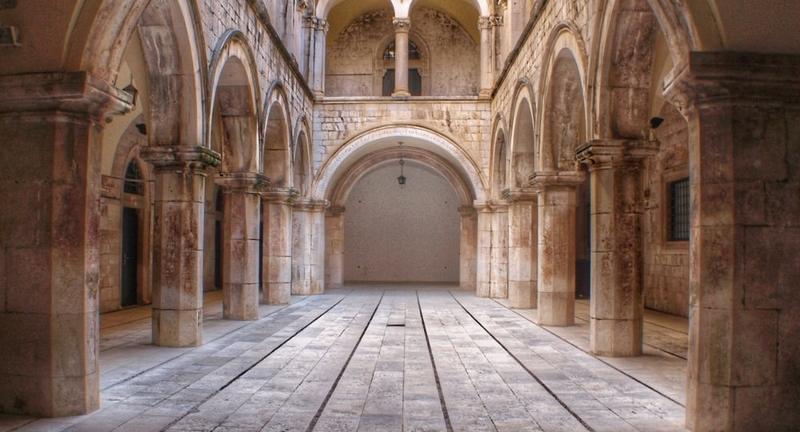 Why booking a Dubrovnik walking tour? No matter which walking tour you book be ready to discover some hidden gems along the way. All our guides are officialy licensed and passionate about Dubrovnik and whatever comes with it. This city has so much to offer to fill several bucket lists. So many things to do and to experience, places to visit and many more stories to tell. This beautifully preserved UNESCO site, surrounded by battlements, built to protect the inside with baroque churches and grand palaces speak of the splendour of a town that was once a wealthy republic in its own right. Every era like a fascinating chapter of a captivating story. 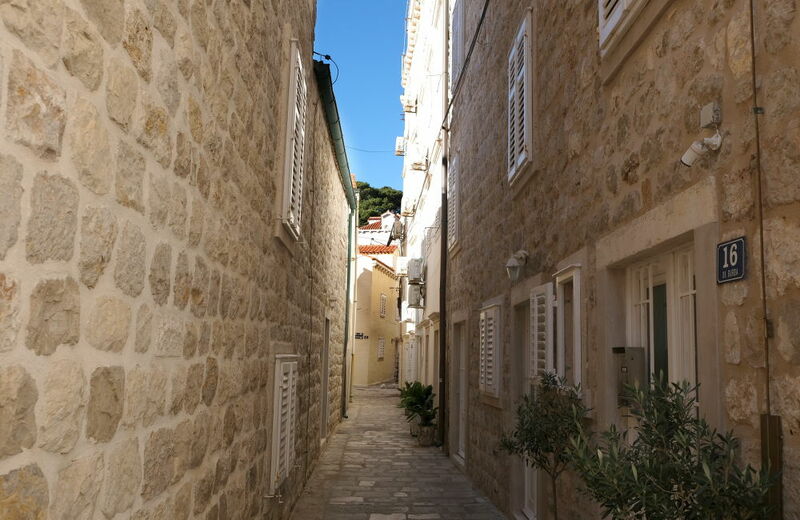 Wander past quaint limestone houses with shuttered windows, along narrow alleys and up flights of time-weathered stone steps and listen to a unique history full of surprising facts, entertaining legends and funny tales. There is a reason why Lord Byron, British poet and leading figure of the Romantic movement once proclaimed it the “Pearl of the Adriatic”. 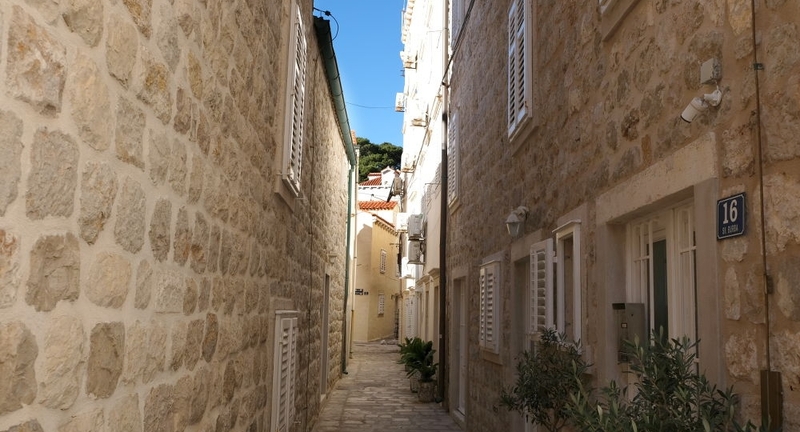 A few centuries later another literary fan, playwright and Noble Prize winner George Bernard Shaw put it this way: “Those who seek paradise on earth should come to Dubrovnik.” We show you why! Private tours with your personal tour guide! We have a great selection of Private Tours suitable for all the family or any kind of company. Learn about the past on our Classic History Tour in only 90 minutes, or turbulent events from more recent times in Dubrovik's War Story. Or go for a stroll around the city walls, enjoying stupendous views of the sparkling Adriatic and the town skyline. 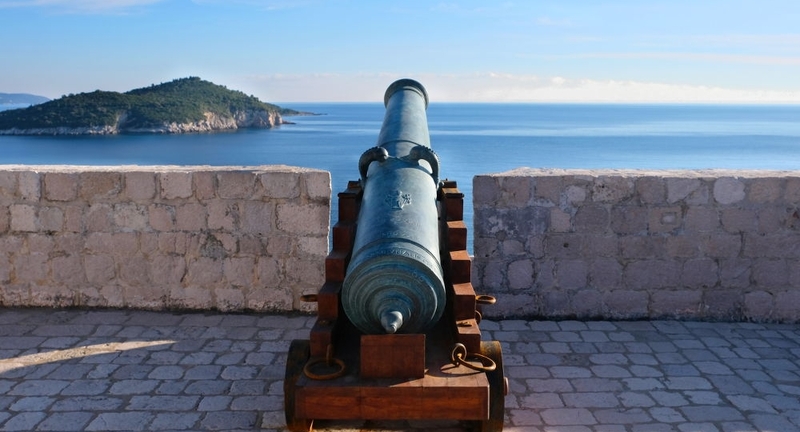 In addition to get more of Dubrovnik we recommend to book our private „2 in 1“ Combo Tours, offering different packages including Old Town & City Walls, Dubrovnik’s War Story & War Museum, Old Town & Museums and one of our highlights Old Town & Cable Car. 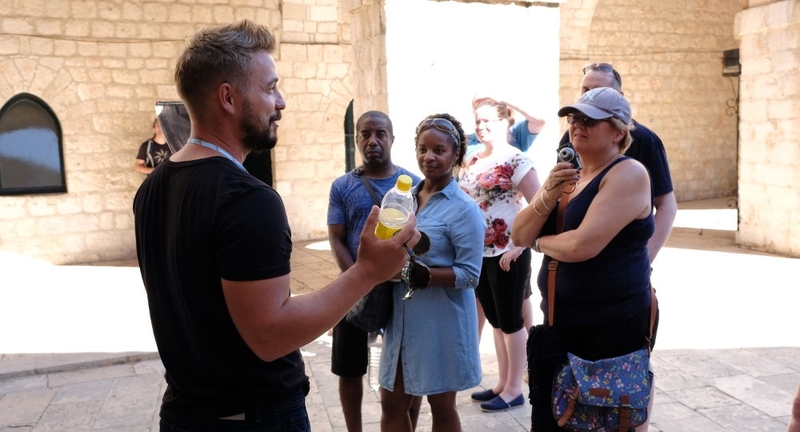 Meanwhile on our Game of Thrones tours, you'll see first-hand how the town was transformed into „King's Landing“. Or you can join an extended tour adding filming locations of the city „Qarth“ taking you to the beautiful island of Lokrum. 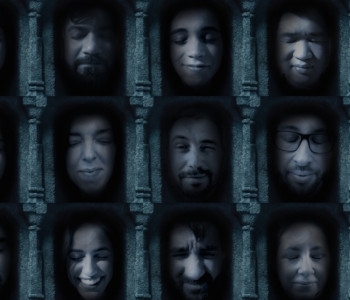 For real aficionados, our ultimate GoT experience is a seven hour tour that takes you to all of the major filming locations used in the hit TV show. Your local guide is sure to be treasure trove of stories about what went on behind the scenes on this stellar production. 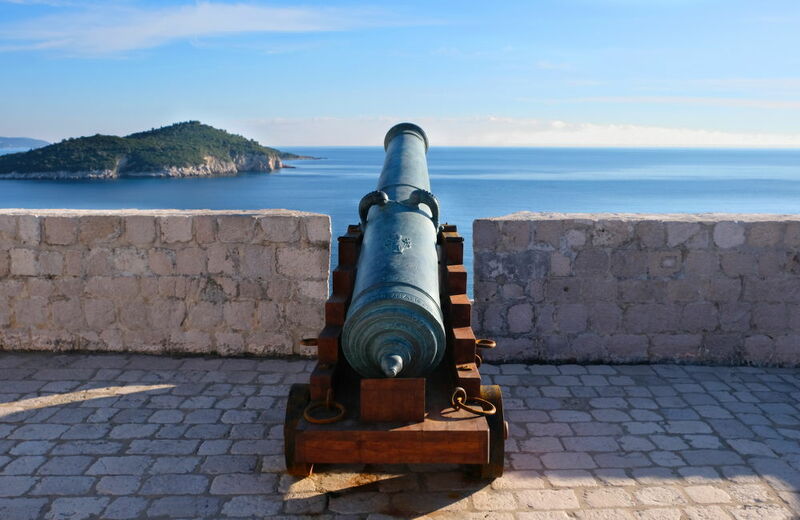 If you want the best of both worlds check out our „Dubrovnik & King’s Landing“ tour where history meets fantasy. Traveling means not only visiting different places but meeting different people. We on the other hand consider ourselves as hosts and good hosting includes interaction. This is why our public outings are limited to 12 people only. Our standard is to maintain a high level of quality and experience shows that small group tours are suiting everyone who is involved, guests and tour guide. We offer an equally attractive range of walking tours. Join our Old Town Walking Tour and get to know everything from the founding of this city until present day. Or take it to a higher level, for a walk on the city walls, one of the most beautiful medieval, defensive wall systems worldwide. 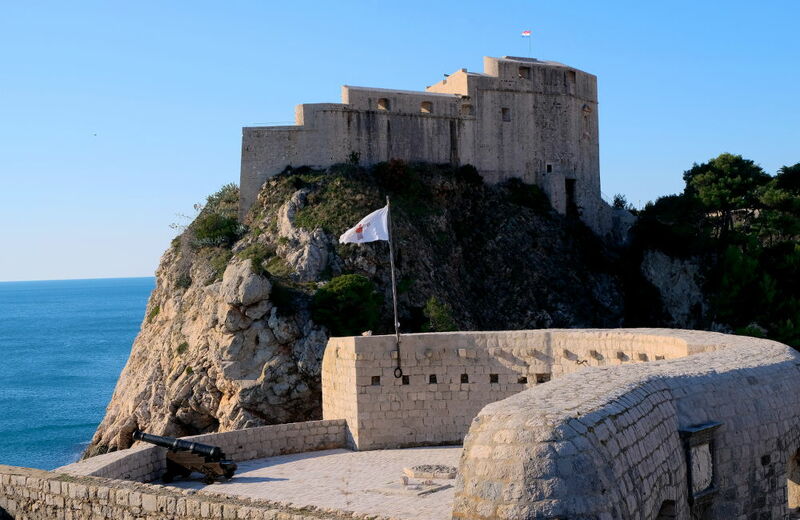 Or explore sites used to bring to life the fantasy world of „Game of Thrones“ and visit „King’s Landing“, „Qarth“ or feel like a visitor in Dubrovnik and the capitol of Westeros at the same time. Half day trips and shore excursions! Dubrovnik attracts many visitors traveling by cruise liner. That's why we offer several tours especially tailored to travelers arriving by boat. We'll collect you from the port and drop you off again by the end of the day, and in between we'll ensure that you make the most of every minute of your time on shore. 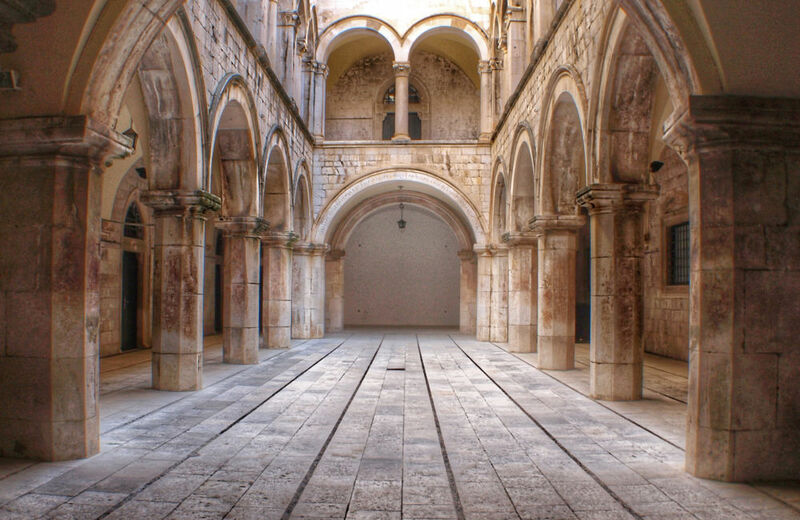 Whether you're more interested in seeing key backdrops from "Game of Thrones" or you just want to take in the main sites, these five hour tours allow plenty of scope for a thorough immersion in Dubrovnik.